AMSS have their own building of 2 floors so office is quite big. Application procedure: Applied on my own. I sent CV with cover letter to Deepa Ma’am and she sent me a questioner, on that questioner basis I got an internship. Duration in weeks. No. of days/week. Timings: In starting 2 weeks but got extension of 1 week so it becomes 3 weeks internship. Monday – Friday, 9.30- 6.00 but this timing are on paper only. I usually left by 8.00-8.30. Some of the interns also came on Saturdays too but I am the lucky one who is not called on Saturdays or Sundays. Accommodation: I am from Delhi only so accommodation is not a problem for me. But there are number of PGs for both boys and girls in Sarita Vihar and it hardly takes 10-15 min to reach office from there. First impression. First day, formalities etc: As you are going to AMSS for internship you must have imagine something about the office and your imagination related to office will be prove correct. On first day, Deepa ma’am has given us a sheet in which we have to mention all our particulars and area of interest and according to that we were provided our teams. You can work with other teams also if you don’t have any work from your team. Main tasks (in detail): I worked in corporate team so main task is related to Companies Act, 2013 and other includes due diligence, proof reading etc. Mainly it is related to research work on various topics. 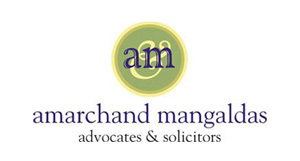 Work environment, people: Employees and work culture at Amarchand, Delhi is very good. I don’t have words to say how good the employees are? They are so humble, so supportive so down to earth that you don’t feel that you are working as an intern in such a big firm. This is not only my opinion but other interns too. They treat you like you are also a main part of an organization. Best things? Every single moment at Amarchand is awesome for me. Work allotted to me Work culture; employees etc. all are good for me. I am feeling that is past 3 weeks all my stars are in good mood. Bad things? Certificate will be given through post so those who need to show them in colleges immediately have a big problem. What did you do to chill? Free coffee and tea for all and you can also buy anything from pantry. All interns sit together so we chill out at our workstations, by doing chit chat. As far as I know there is no place to hang out near office. Stipend/ month : No information related to this. Biggest lessons: One should be Intellectual, hardworking and dedicated. Ed’s Note: We’ve published this internship experience without editing for language. Am waseem akram, 4 year student of B.A.LLB. (hon’s) from Aligarh Muslim University .And I am interested to intern in your legal firm at Delhi.. kindly please provided me your email in which I have to send you my application form long with my latest C.V.. I m looking forword for ur reply. I m a student of a final year of law…pls hwlp me out in knowing how to apply for internship? please send me the e-mail id of the company where i can send my cv for internship. the strength of the office is more than 200- seems like this person hasnt really seen the entire office and thats why he feels that it has 2 floors. wow– gives a fair idea about the firm— at least about the kind of proof reading that happens 😛 ; could never get in on my own… thought one needs “jugaad”… now m sure of it! All mistakes has been done deliberately. Do not comment on this. The author wants to defame the firm. The procedure of selection is really hard. Many of us has done internship there. This has got to be the intern from . God, what a vill. Internship review by Jugadu Guy! Dude, the building comprises of 4 floors, including the basement; not 2.